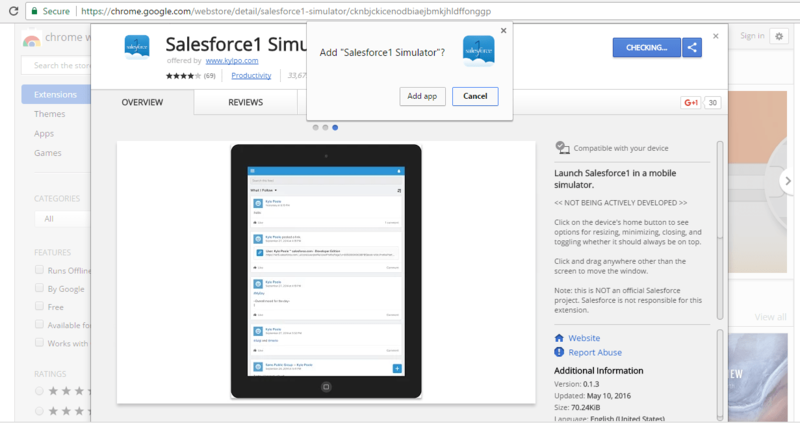 Launch Salesforce1 in a mobile simulator right from your desktop. You need to have google chrome browser installed on your computer. 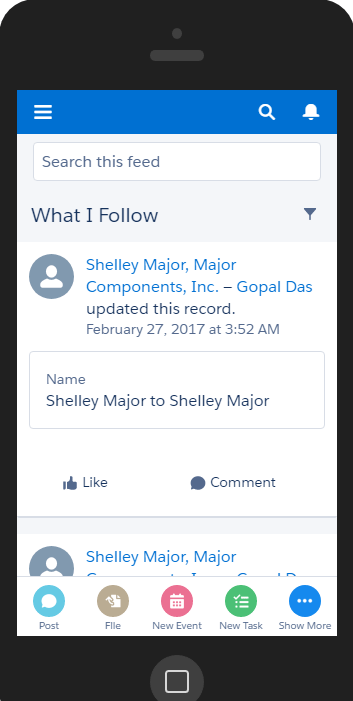 Its a very preety coll tool to test salesforce1 App, no need to go to device again and again while developing or testing salesforce1 App. Its a free chrome extension available in google chrome store, just click on the below link. Click on Add to chrome blue colored button on top right corner. On the confirmation pop up window just click on the Add App button. Now the Salesforce1 chrome extension has been installed. 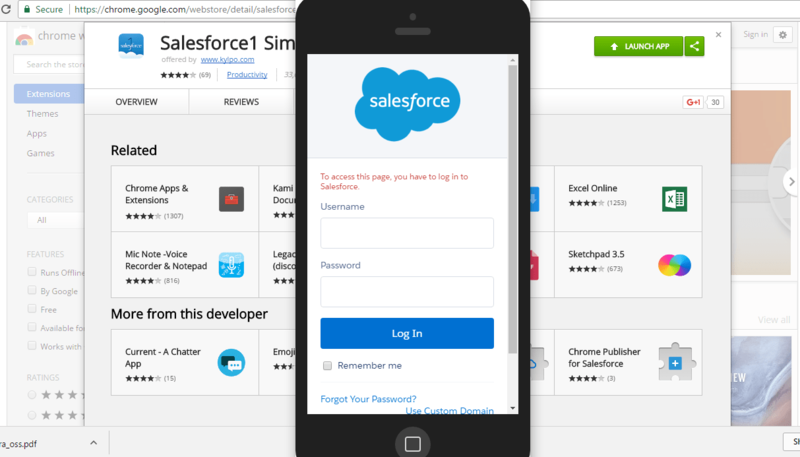 Click on the salesforce1 simulator image to launch the simulator. Put your salesforce username and password and verify with verification code if required. 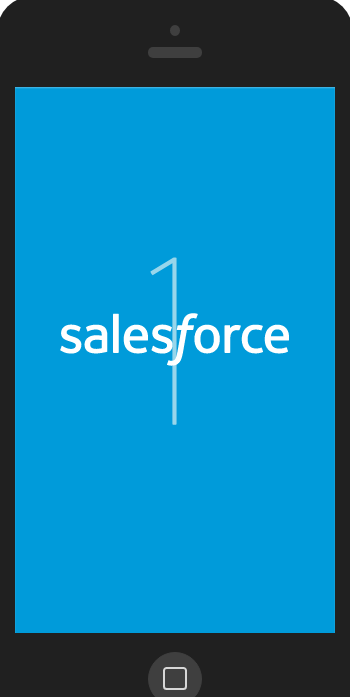 It will take a while to logging in, in the mean time you will see Salesforce1 logo. Now you have already logged in, its showing chatter feed as default. To do the testing and go to other tabs click on the left side top hamburger menu. Click on the device’s home button to see options for resizing, minimizing, closing, and toggling whether it should always be on top.